Adding AI projects to an IT budget poses a challenge for CIOs. Artificial Intelligence (AI) sits alongside Blockchain as one of the most talked about tech trends of 2017. Just like Blockchain it has its poster children too. Where Blockchain has Bitcoin, AI boasts Amazon’s Alexa, IBM’s Watson and Salesforce’s Einstein, to name just a few. All have demonstrated impressive cognitive powers, from telling users the weather or developing bespoke recipes, to helping to prevent cybercrime. Despite this, there is a notable gap between the headlines grabbing usage from vendors and the real-world adoption of machine and deep learning, and AI within organisations. In this data-rich era it is understandable that, in the consumer sphere, we look to technology to help us sift through the terabytes of data we have at our fingertips. Yet, even when testing AI with novelty requests and bizarre song lyrics, consumer demands on AI are still relatively light-weight; confined to sourcing information from the internet or our customised playlists, for example. The same cannot be said of business. CIOs are used to outlining time or cost saving benefits, often coupled with sponsorship from a senior decision maker, before budget for an IT project gets signed off. Yet for many, asking for an AI budget is like opening Pandora’s Box. Many organisations simply don't know what they don't know about their data, so while they know AI could be the answer, many are unsure of the exact problem they are trying to solve. If you recognise the value AI can deliver to your business but are unsure of just how to go about it, identifying an area of the business with a heavy admin burden could be a good place to start. AI works best when it works with lots of data and repetitive tasks. Sage recently launched PEGG, the world’s first accounting chatbot. It reconciles expenses and invoices and unburdens small business owners from the day-to-day admin that keeps them away from doing what they really want to be doing; servicing customers and generating news business. The same principles can be applied within much bigger organisations; freeing up staff from repetitive tasks to do value-added work can improve the performance of a department, demonstrate an immediate value to the business and help IT manage budgets and expectations by setting tight parameters around an AI project. With a succesful trial completed, expanding your ambitions and budgets for AI within the business to address more complicated processes should be a much easier task. Asking for AI budget may seem like a hard ask, but it doesn’t give an excuse to find an easy way around the issue. It’s tempting to take advantage of the free ‘build your own bot’ services which are appearing online, many of which are very user-friendly. While good for small businesses that may need to quickly spin up a simple AI, for a larger enterprise there are dangers to creating a lot of these bots without proper planning. AI is a difficult beast to manage, and considerations need to be made for training and managing it at scale. AI for AI’s sake won’t deliver the best results. While AI adoption is beginning to prove its usefulness in many industries, it needs to have access to the right data in order have meaningful impact. Strong data quality underpinning machine learning will amplify the efficiency of organisation, and never has the phrase ‘quality in, quality out’ been more relevant. While organisations have mountains of data to sift through, strong data quality underpinning machine learning will amplify the efficiency of your business. In terms of critical success factors, context sits right alongside data quality. Chatbots are a good example of efficient machine learning currently in implementation, and of the importance of context in producing a useful outcome. While the term ‘self-learning’ is often subscribed to AI it can be misleading. It is only by acquiring more data over time and understanding the context in which this information can be accurately used that AI can improve overall performance and start to deliver real business value; and for that early training human operators are still required. The evolution of mobile technology and app development has increased customer demand for immediate and convenient solutions through instant access to what they need, when they need it, through their channel of choice. AI and data can come together in this field to help organisations to deliver the autonomy and personalisation that consumers increasingly demand, but again, setting parameters is key. For example, a chat bot that delivers information about your store or bank account, that can point you to offers of interest, or make suggestions about how to run your account more efficiently, might be a welcome customer service tool. But a customer’s delight can quickly turn to dissatisfaction if, for example, they are served recommendations based on inaccurate customer information, or the customer requires information beyond the scope of the bot’s permitted parameters. At this point, a successful deployment requires that AI integrates seamlessly into the customer service system, routing the customer to a customer service agent via live chat or the call centre. The same is true of other parts of the business from the customer service department right through to the back-end supply chain; parameters must be set but integration is vital too. Used in this way, as an integrated component of the overall business process, AI can extract value from an organisation’s data, becoming a tool that enables better informed decisions and faster outcomes for a competitive edge. As AI technologies based on deep learning become more accessible through cloud services and APIs they are also becoming more affordable. For organisations with the right degree of IT and business savvy, early adoption of AI within their organisation for targeted, clearly defined projects can help deliver genuine business value. 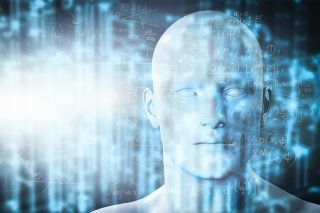 Ultimately it will also serve to set them apart from less forward-thinking competitors; helping them to demonstrate the RoI and business value of AI and deep learning, ready to roll it out across the business as the technology matures.